Common misunderstandings about Loans for MS/MBA Abroad. The Reason why your interest rate for education loans may change. Tax Benefits for Education Loans. The Reason why even a collateral loan may be rejected. The ‘CIBIL Score’ that you need for a loan. Planning how to fund your education abroad is a critical step. 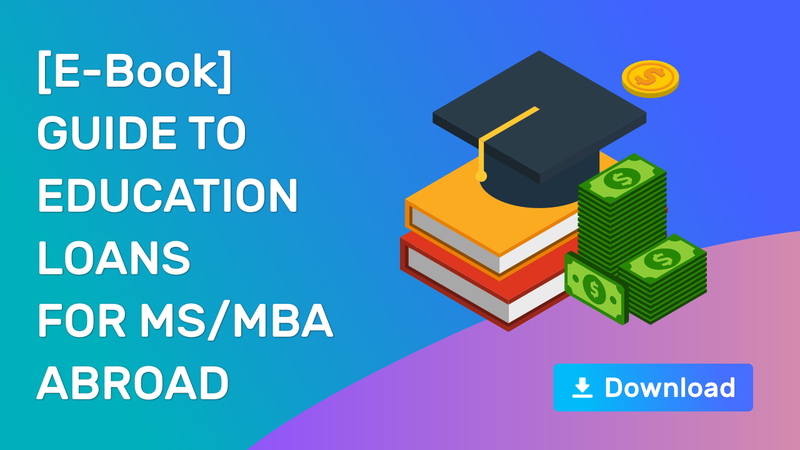 In this FREE E-book, the author reveals everything you need to know about applying for education loans, the benefits and the pitfalls to avoid. Find the answers to all your questions here.